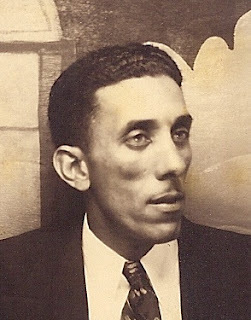 Ovide Pierre Maurice Jr, born in New Orleans, was my maternal grandfather. We called him "Uncle." I feel that it is important for me to write down the things that I can remember about him. I love learning about my ancestors, so I hope that my grandchildren will love hearing about their great-great-grandfather one day. Teacher - taught me to cook, waltz, wire a house, history, etc. He worked all the time. When I was 5-6 years old, I lived with him and my grandmother because my parents had to move to North Carolina for my father's job. He took care of me and my sister almost every day because my grandmother worked for the county downtown. Uncle was self employed, so he was home when we got up every morning. During summer vacation and on weekends, he frequently took me with him on jobs. Uncle made most of his money by buying old houses, fixing them up, and then selling them. He purchased foreclosures, and houses that had to be moved because of freeway construction. I saw many of these houses. I saw how he put them on to a new foundation, rewired them, and prettied them up to be sold. He had a denture lab at the house on 36th Street. I was fascinated by the equipment and supplies. People would come over so that he could make false teeth for them. They would always thank him for doing such a good job and making them look good. The house on 36th Street was 2 stories with a fireplace. The attached apartment was where my mother's sister and her family lived. There were 3 apartments in the back. We had lived in the middle, my great-grandparents lived on one side, and my god-parents lived on the other side with their daughter. The fish pond in the middle made it a very happy place to grow up. Uncle would even show his home movies at night in the court yard after he cooked up his fabulous Bar-B-Q . Uncle drank fresh ground Luzianne Coffee with Chicory, which was poured into hot milk. He smoked Camel cigarettes, used Old Spice, drank Tequila or Coors, watched the Wednesday night fights, and took us to church at sunrise every Sunday morning. He had a parakeet named Parico that often flew freely around the house. I never knew when Uncle was going to speak to me in English, Spanish, or French. I'll never forget an outing we had together in 1986. I lived in one of his houses about a mile away from him in Covina. I drove over and picked him up because he could not drive after his stroke. We went to Los Angeles where an old friend of his had a seafood market. Uncle bought a whole bucket of fresh oysters that he had special ordered. We took that bucket back to his house and sat there slurping up raw oysters off the shell. It was awesome! I loved Ovide Pierre Maurice Jr., and he loved me. He was the best grandfather/Uncle that any little girl could ever have.